Here we are in July, and things in the hockey world are already becoming interesting with free agents signing expensive new contracts, movements all over the United States and Canada, and the Colorado Avalanche making moves to better themselves following a strong 2017-18 season. 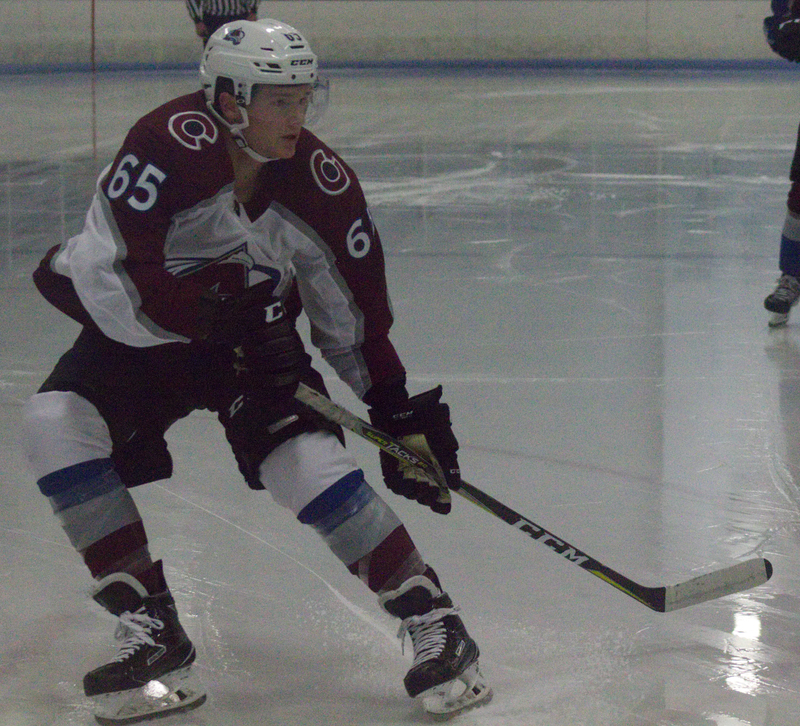 With a few more months of waiting still to wait until Avalanche hockey returns, fans were able to get their first look at some of the new prospects this past week at the Avs’ development camp. 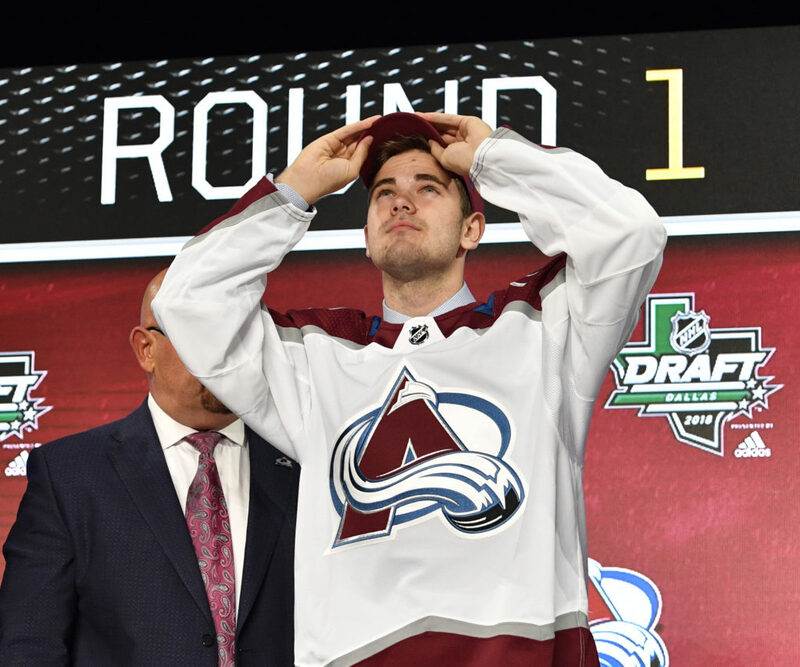 Both Avalanche and Eagles fans were able to witness the showcase of skill from some of the Avs’ top prospects, including 2018 first-round draft pick Martin Kaut — who signed his entry-level contract with the organization on Thursday — and 2017 first-round pick Cale Makar. During the camp, the stage was set up perfectly, with the prospects facing off in a 3-on-3 game to close out the camp. Makar and Kaut were the main attractions during the game, but there were a few extra surprises that no one expected. Here are the top four players who made a name for themselves with a solid performance. Named as the captain of the DU Pioneers’ hockey team for the upcoming 2018-19 season, O’Connor came into the development camp as an undrafted player looking to make a name for himself. From the drop of the puck in the first period, it was clear that O’Connor was on a mission to make the Avalanche and force the Eagles to take a closer look at him. Following a dominating performance during regulation, O’Connor was also able to continue to turn heads with his attempt during the shootout. 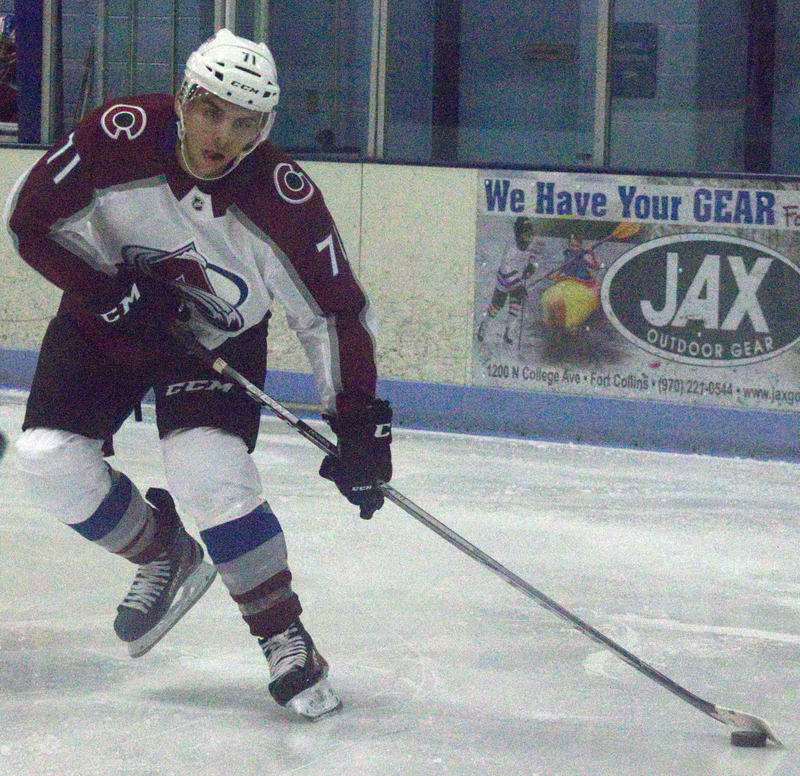 After gaining some valuable experience in the American Hockey League (AHL) last season with the San Antonio Rampage following a dominant season at Clarkson University, Dickinson took full advantage of his invitation for the Avs development camp, tallying a goal and two assists in the game. Paired up with O’Connor, the two were able to find quick chemistry to help Team White come away with the victory — something to watch for if they end up becoming a pair with the AHL’s Eagles. Dickinson plays a solid two-way game and is strong defensively in his own end. When transitioning, he is able to get up the ice quickly and provide scoring chances for himself or his teammates. Following a dominant season with the Brandon Wheat Kings last season, Lewis made sure to make an impact in the development camp early and continued to showcase his skill during the 3-on-3 game in front of the Avalanche and Eagles coaching staffs. Notching 100 points in 70 games played for the Wheat Kings last season, Lewis showed his offensive potential with smooth transition play, skillful hands to create space for himself, and hockey senses that will make him an exciting player to watch with the Colorado Eagles next season as he works his way up to a spot with the Avalanche. With plenty of room to strengthen goaltender depth, Avalanche GM Joe Sakic selected Annunen in the third round with the 63rd overall pick. After spending time in the Finnish Elite League, it will be interesting to see how Annunen adapts to the North American style of game. Standing at a staggering 6’4″ and weighing 193 pounds, Annunen is a large-frame goaltender who fills up the the net. His aggressiveness was immediately aggressive, and he shares some similarities with fellow Finn and Nashville Predators goaltender Pekka Rinne. His glove hand is quick, often snatching up quality shots during the development camp game. These prospects will once again earn an opportunity to prove their worth at the Colorado Avalanche training camp in September, but until then, it is safe to say that Avalanche and Eagles fans were able to witness a bright future for their favorite organization.